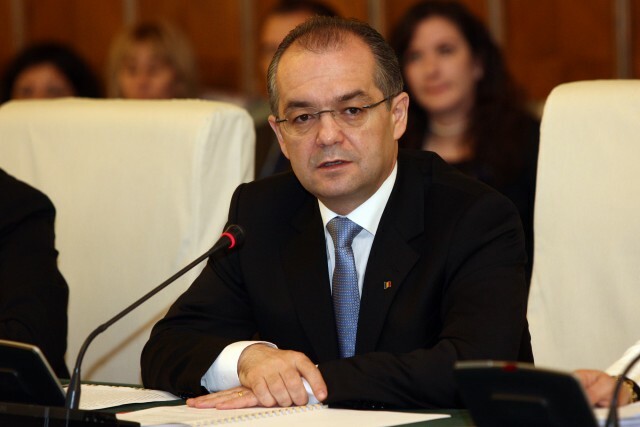 Romania's prime minister Emil Boc (in picture) has recently been voted president of the Democrat Liberal Party (PDL) in the country. This is Boc's second mandate at the helm of the party, which used to be run by Romanian president Traian Basescu before taking over the presidency. Boc got 868 votes in the voting session on Saturday, defeating his competitors Vasile Blaga, with 499 votes and Theodor Paleologu, the current Culture Minister, with only 24 votes. Blaga used to be the Internal Affairs Minister until September 2010, when he resigned from the Cabinet led by Boc. Media reports quoting sources in the PDL say the party is considering the decision to give up the prime minister position and ask Boc to focus on leading the party. Asked by the journalists whether he considers resigning from the PM seat, Emil Boc failed to give an answer. Emil Boc has been Romania's prime minister since December 2008. He is a lawyer and former teacher at the Political Sciences Faculty in Cluj – Napoca. He has been leading the Democrat Party since 2004, when he also became the mayor of Cluj – Napoca.